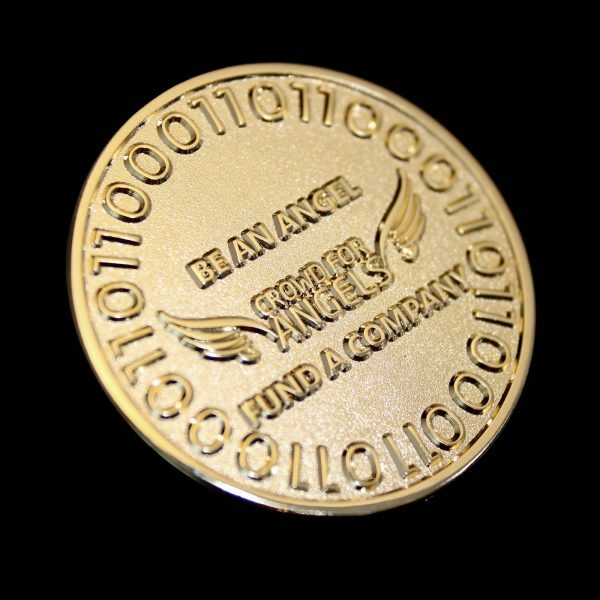 Medals UK is pleased to present The Angel Commemorative Coin commissioned in 2018 by Crowd for Angels, a UK crowdfunding platform that offers companies and investors opportunities to raise and invest funds in different projects. 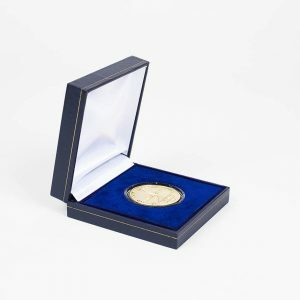 Through crowdfunding opportunities including shares (equity), crowd bonds (debt) and token sales (cryptocurrencies) the London, UK based company have been helping companies jumpstart and scale their business by assisting them in raising finance from thousands of investors through the UK crowdfunding platform. Crowd for Angels’ goal is to bring innovative and appealing investment opportunities to investors and to provide funding for companies throughout their growth cycle – the Angel coin is a physical representation of the Initial Coin Offering (ICO) pertaining to investments. 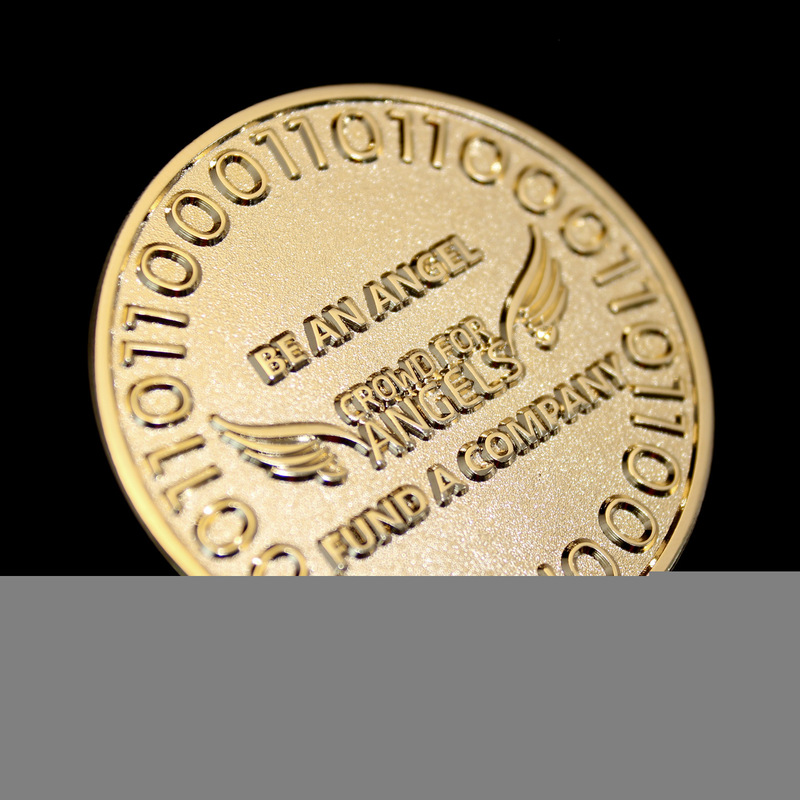 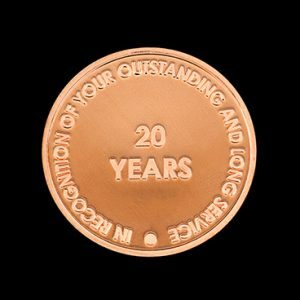 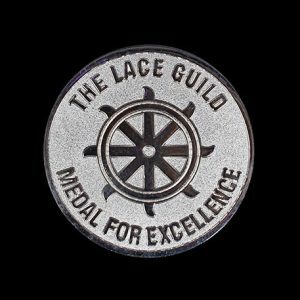 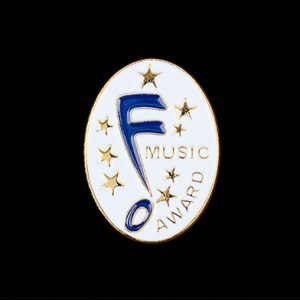 Investors are presented the coin upon funding a company. 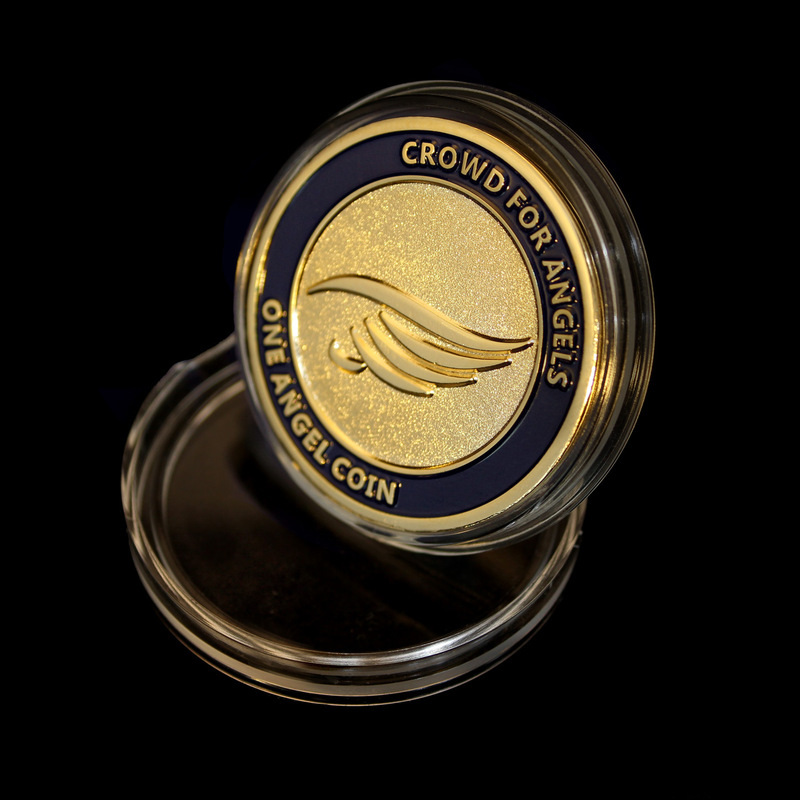 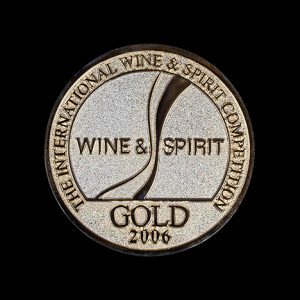 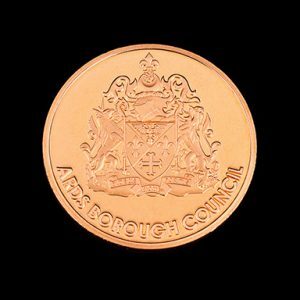 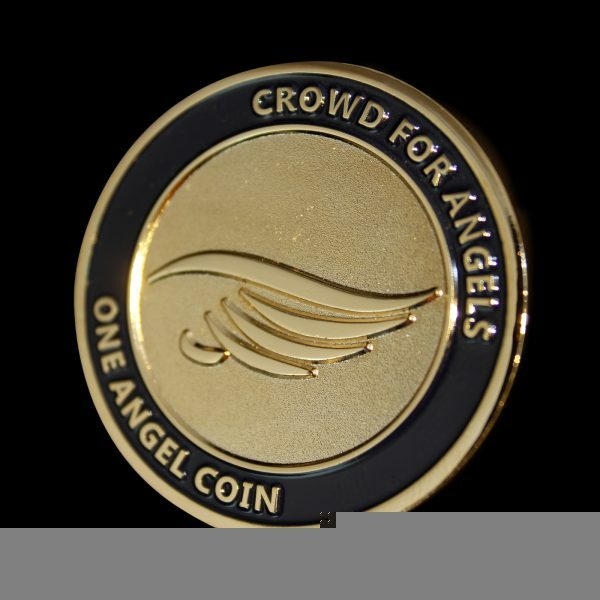 The Angel Coin is gold in colour with a frosted finish and measures 38mm with the obverse featuring the Crowd for Angels Logo incorporating two angel wings. 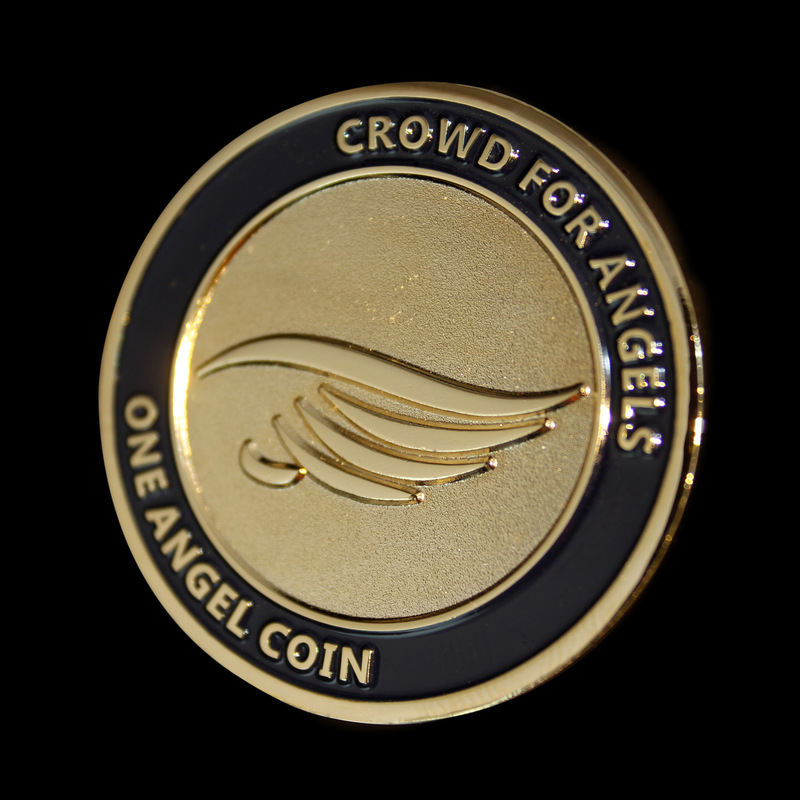 The commemorative coin is incorporated within a capsule.